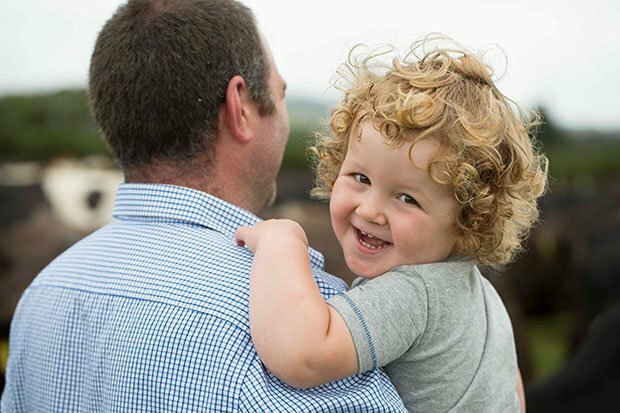 Dairy farming is shown through the eyes of four-year-old New Zealander Jack Greenan in a heart-warming video from DairyNZ. The video shows sides of dairy farming the public may not often see including family life, the contribution farmers help make to our lives and the great aspects of being a dairy farmer. Jack stars in the video with his parents Olin and Anna and baby brother Noah. Jack loves living on a dairy farm surrounded by animals and machinery. He helps his father herd the cows and check on the calves. He also enjoys practising his rugby moves in a paddock with his Dad. DairyNZ marketing manager Andrew Fraser says the dairy sector is about so much more than cows and grass. “People are hugely important to everything that happens on a farm. Their work provides nutrition for New Zealanders and world markets. The video was made for the New Zealand Dairy Industry Awards.